You can't help but love a good cocktail. 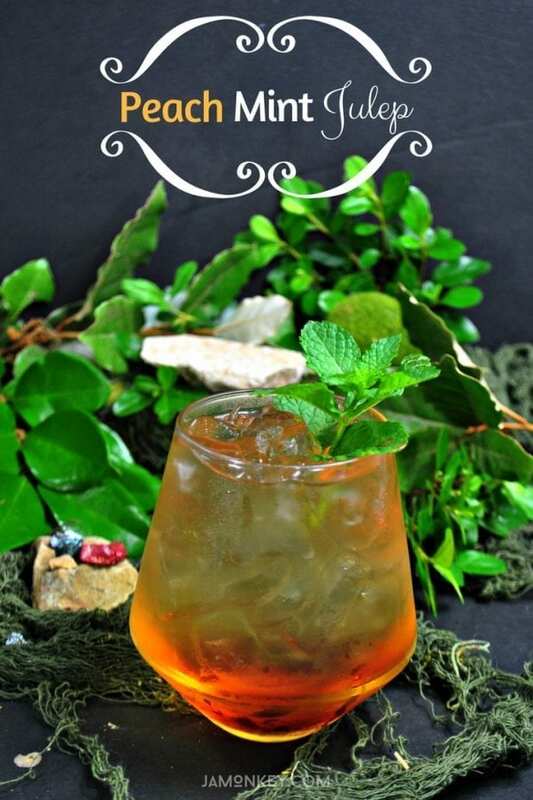 This Peach Mint Julep is perfect for peach season and is great for a themed Jurassic Park/World party. 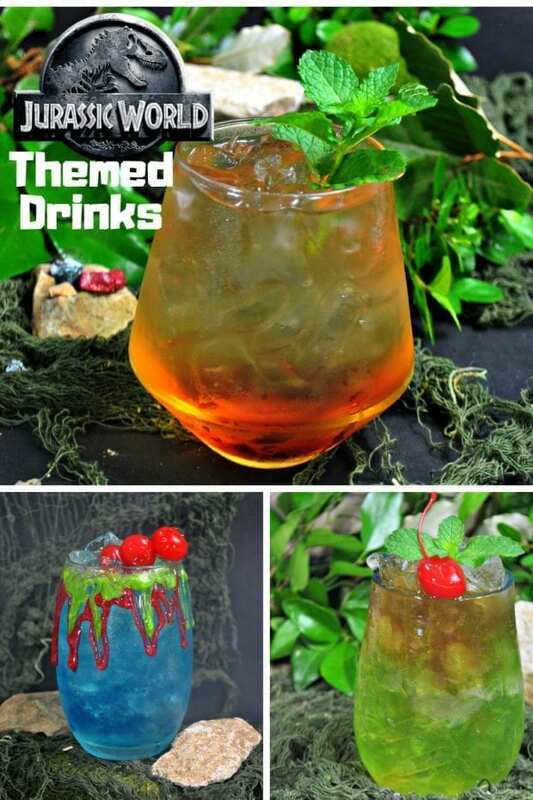 This Jurassic Julep is themed to look like the original Jurassic Park colors. Peach season is in full swing, and I can't resist that delicious taste! Three years after the destruction of the Jurassic World theme park, Owen Grady and Claire Dearing return to the island of Isla Nublar to save the remaining dinosaurs from a volcano that's about to erupt. They soon encounter terrifying new breeds of gigantic dinosaurs, while uncovering a conspiracy that threatens the entire planet. I like cocktails that need a little bit of work, and the julep is one of those drinks. Break out the muddler and some fresh mint and turn it into a paste. I'm a fan of making my own simple syrup as well. Having a seasonal syrup in the house is great for adding it to all kind of dishes as well. I'm in the South, so that means it goes into iced tea! Simple syrup is, well simple, to make. You just need equal parts 1 cup of water and 1 cup of sugar and two peaches. Peel the skins, dice, and pit the peach and place everything into a pan and heat until all of the sugar has dissolved. Remove the pan from the heat, cover, and let the peaches steep for about 30 minutes. Remove the peaches carefully from the simple syrup, if they start to dissolve it will cause the syrup to be cloudy. Of course, you could just order some simple syrups to keep in your bar as well. 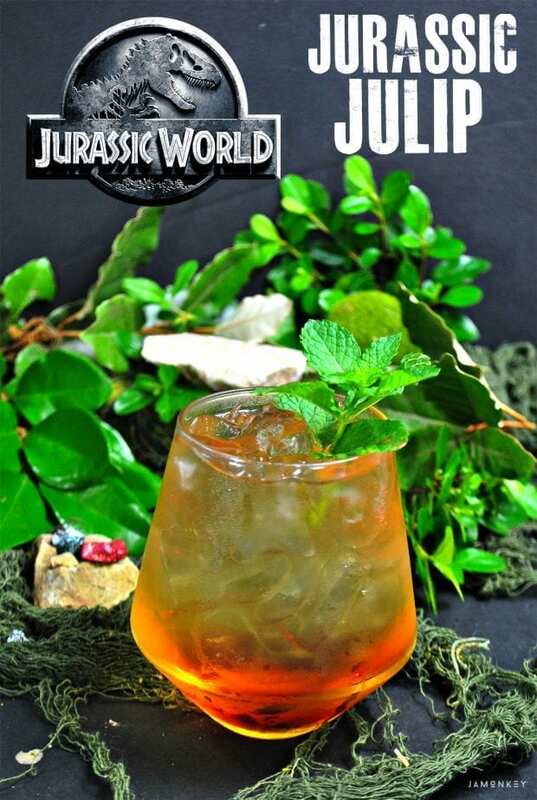 Sip and enjoy while you watch Jurassic World! At home, don't sneak drinks into the theater, I would NEVER do that ;). Dice your mint very fine. Add your mint to a small bowl and muddle to a paste. 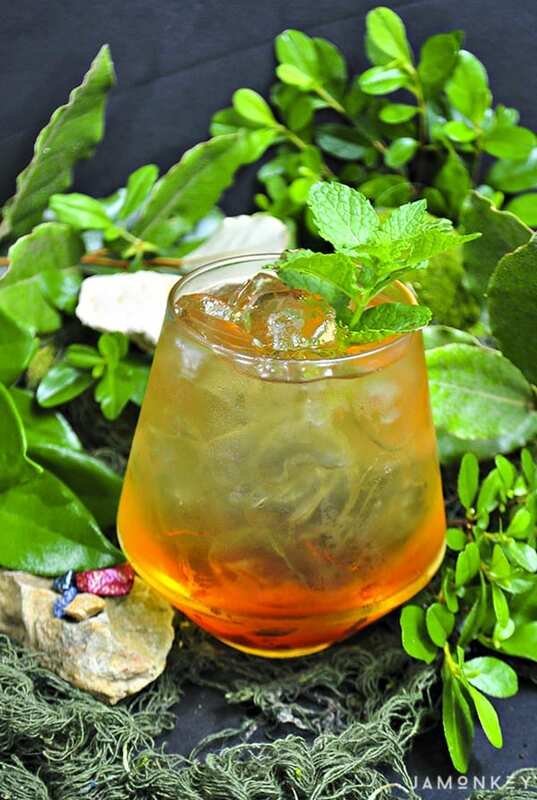 In a cocktail shaker, add the mint syrup, ice, bourbon, fresh muddled mint, and peach syrup. Pour into the chilled glass. Pin this post!Mention @JaMonkey or tag #JaMonkey! 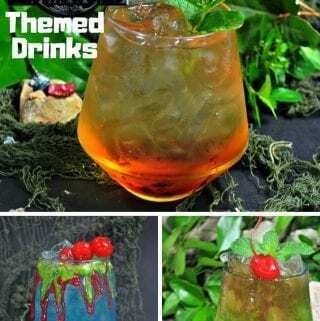 Want more Jurassic Themed Drinks? Check out the Raptor Cocktail and the Kids Blue Raptor Punch!